From "METAL GEAR SOLID" comes a rerelease of the Nendoroid of the main character of the series, the infiltration specialist Solid Snake! The rough look of his character has been preserved while still giving him the cuter appearance provided by the Nendoroid design! 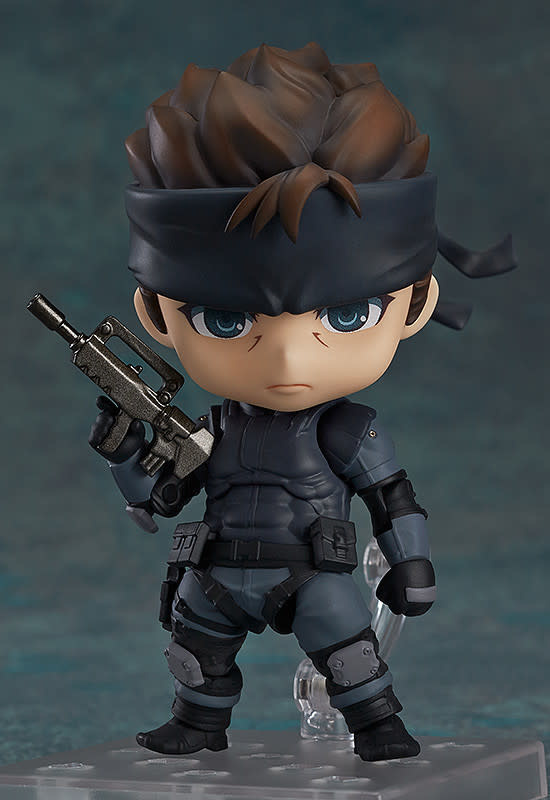 He is the first ever Nendoroid designed to be posed in a prone position, allowing you to display him sneaking around just like in the game!